As soft and calming as these wool rugs are, they don’t fall short when it comes to the amount of cleaning and maintenance that is needed to preserve their shape and texture. Though durable, wool rugs can quickly become magnets for dirt, dust, pet dander, and other harmful particles in your home. 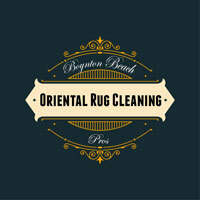 At Boynton Beach Oriental Rug Cleaning Pros, we take extra care to make sure these comfortable rugs remain in pristine condition for you and your family. Wool rugs always serve as a great addition to your home to provide a warm and cozy feeling—they bring with them a special kind of elegance and comfort that can brighten up a dull winter day in an instant. 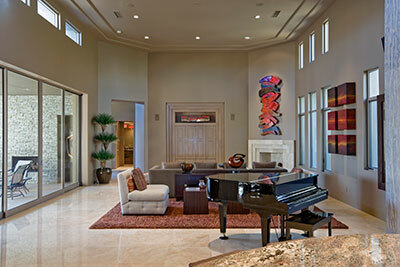 With that in mind, your wool rugs require the proper care and upkeep in order to protect your investment. With time and experience, our Rug Cleaning Pros have learned the ins and outs of wool rug cleaning, and have perfected our methods to provide the optimum clean. Our wool rug cleaning system is complex, yet straightforward, and it begins with a full in-home inspection of your wool rug. This assessment helps our staff to get a better idea of your rug's specific set of features, noting its age, weaving technique, fabric density, surroundings, and current condition. Following the inspection of your wool rug, we’re able to determine a customized cleaning approach for your specific rug. For wool rugs, nothing short of our intricate hand-washing technique will do the job. 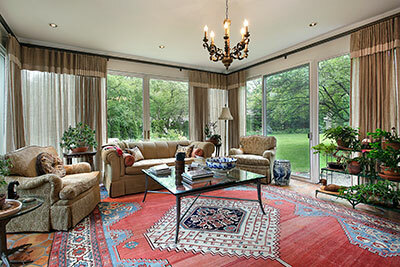 Wool rugs are very delicate and can easily become damaged if mishandled, even if the damage is minor. Instead of exposing the rug to a machine wash, our cleaning professionals opt for a safer, more involved approach of washing it by hand. The cleaning itself is first done dry, and dirt and grime is blown and vacuumed out of the wool to prevent it from becoming embedded into the fabric once we begin to apply moisture. Following this step, we move onto a wet-wash. We finish off our cleaning processes with a specialized drying method that prevents the shrinking or roughening of the wool rug’s texture and materials. By the time we return your precious wool rug to you, it should be absolutely pristine without even a trace of grime or stains—if it isn't, we'll gladly repeat the cleaning procedure as many times as necessary until the results we get are satisfactory. Upon the return of your wool rug, you’ll be happy to find that your rug is in perfect condition without even a trace of dust, dirt, grime or stains. If you’re not completely satisfied with the restoration and refresh of your rug, we’ll happy repeat our procedure as many times as necessary until we produce satisfactory results. You can rest easy knowing that your wool rug will receive the most effective and efficient treatment possible with our staff at Boynton Beach Oriental Rug Cleaning Pros.